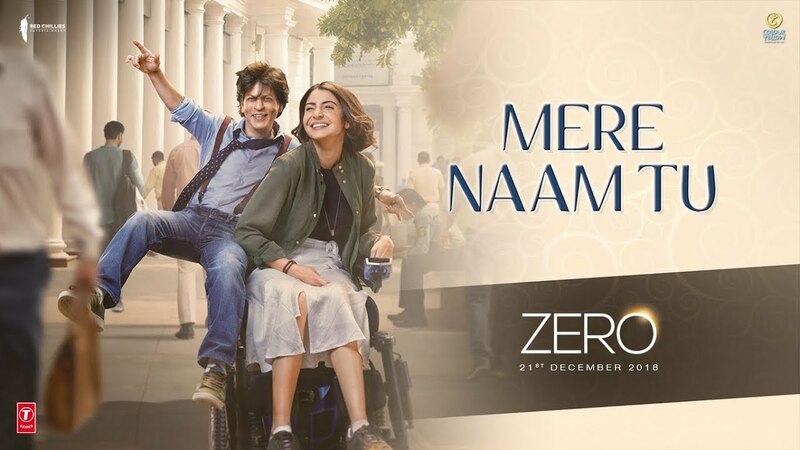 The first song ‘Mere Naam Tu’ from the most awaited movie of the year ‘Zero’ is released today by the makers. ‘Mere Naam Tu’ depicts a romance between equals. Bauua which is played by Shah Rukh Khan tries different ways to impress Aafia, played by Anushka Sharma. The melodious track two individuals embracing each other’s imperfections and celebrating life. The song has been composed by the music duo Ajay-Atul and penned by Irshad Kamil. Bauua Singh took to his twitter handle and continuing his banter with Shah Rukh shared the song, “Arre haan @iamsrk! Phir toh aap 5 1/2 ghante peeche bhi ho…aap ko toh aur late sunne milega! Giraata hoon gaana, zara sahi jagah pahuncha dena… duniya humein dekhte nahi thakti par Aafia humein ek nazar dekh kar raazi nahi…ye lo! ‘Zero’ presents the story of Bauua, a vertically challenged man essayed by Shah Rukh Khan. Set against the backdrop of Meerut, ‘Zero’ presents a unique as well as rooted story. Katrina playing a superstar and Anushka playing a specially-abled girl.